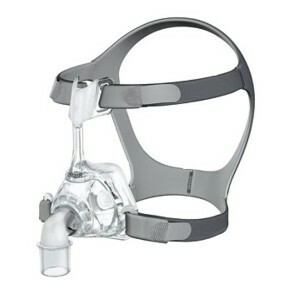 The Fisher & Paykel Eson 2 Nasal Mask is a fantastic all-rounder that picks up where the original Eson left off. It features 20 new design improvements and has ease of use as its first priority. With only three simple parts, the Eson 2 Nasal Mask is easy to clean and easy to assemble. It works with any CPAP, BiPAP or VPAP machine made by any manufacturer, and will connect to all regular standard or heated CPAP tubing. Extremely quiet and with a great seal, this is a class leading mask. RollFit Seal – Delivers a more precise fit and prevents further pressure and discomfort on the bridge of the nose. Easy Frame – Provides a clear line of sight while capable of fitting all three cushion sizes and has Easy-Clip frame attachments that connect to the nasal mask. Washable Diffuser – Newly designed mask filters are washable, allowing you to get more use from your filters that reduce noise and draft. Comfortable Headgear – Slim and stretchy, the headgear is easy to pull on and off like a hat. The cushion chassis is smaller and the velcro much tougher. The forehead rest will barely touch, meaning it won’t leave strap marks. VisiBlue Highlights – Give visual prompts for simpler handling and to aid in fitting and assembly.